Frozen Grapes: Poolside. Court Side. Party Side. Glorious Grapes. Grapes are a delicious healthy snack. 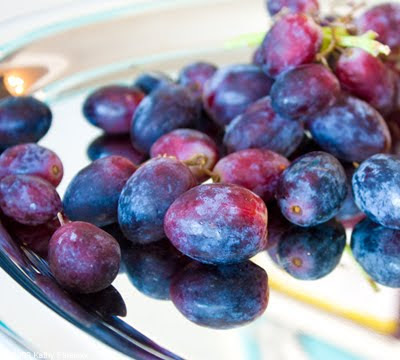 Read more about grape health benefits here. Frozen Grapes make the perfect after school sports snack. Remember that same 'gourmet-fancy' teammate of mine, Charlotte, who used to bring the Minted-Lemon water? Well when it was her moms turn to supply the court side team snacks she'd bring the most amazing spreads. The biggest hit of the snack table: Giant frozen globe grapes. We all loved them and they were gone before they could have time to thaw. Delano Please! One of my favorite spots in the world is the Delano in South Beach Florida. It's such a beautiful hotel with a modern, trendy, yet relaxing vibe. For a special treat during a special stay there we rented a poolside cabana. One of the perks when you rent a pool cabana? Free frozen grapes delivered to your cabana door! Yum. Now you just need someone to feed them to you. Read my complete review of the Delano Hotel here. Yes the photo at right is a very fuzzy shot of me eating frozen grapes at Delano. 1 large bunch firm, organic grapes. 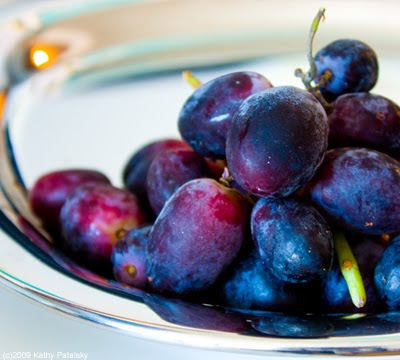 *Perfectly ripe and sweet grapes are the best choice. Quality matters. 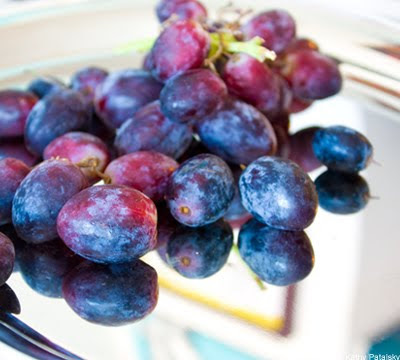 To Make: Wash and dry grapes with a vegetable wash or cold water. Set the on a tray or sheet-no need to cover them. Freeze overnight or until firm. 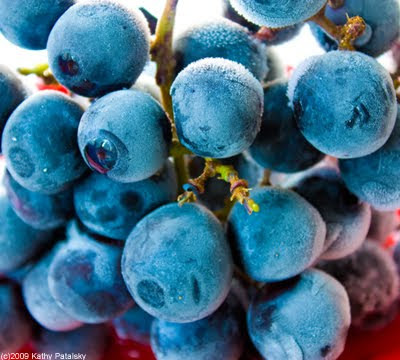 *Some people like to de-stem their grapes before freezing. I don't. I think the grapes actually stay 'happier' when they freeze on the stem. 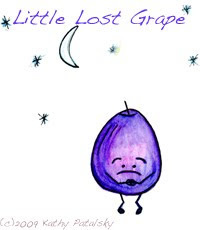 *Globe grapes (the huge ones) are delicious frozen, but some people can't stand biting through the seeds.